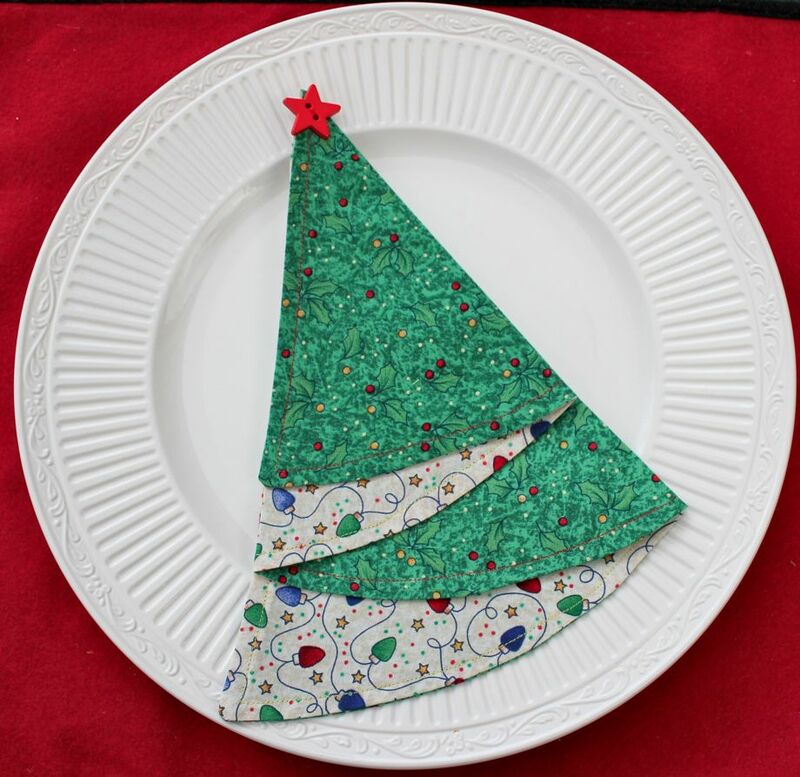 I know that Thanksgiving is the next holiday up, but I’m going to jump right over it so that I can share these adorable Christmas tree holiday napkins with you! The inspiration came directly from my dear friend and creative pal, Teresa. Once she shared the idea, it didn’t take long for me to break out my stash and begin cutting circles. You can find the pattern directions here. * They instruct you to cut a 17″ circle from poster board to use as a template. Lazy me chose to trace a 16″ platter instead. You can also take a fine tip marker and write a message along the inside edge, but I chose to ignore that suggestion and top-stitch 1/4″ around. There was no mention of tacking a star button to the top but, in my more-is-more world, there’s always room for embellishment. I stitched the button to the first layer only, so the napkin will easily unfold. I’ll be stitching up a bunch more because I love the fun they add to the holiday table, and… they make me smile! 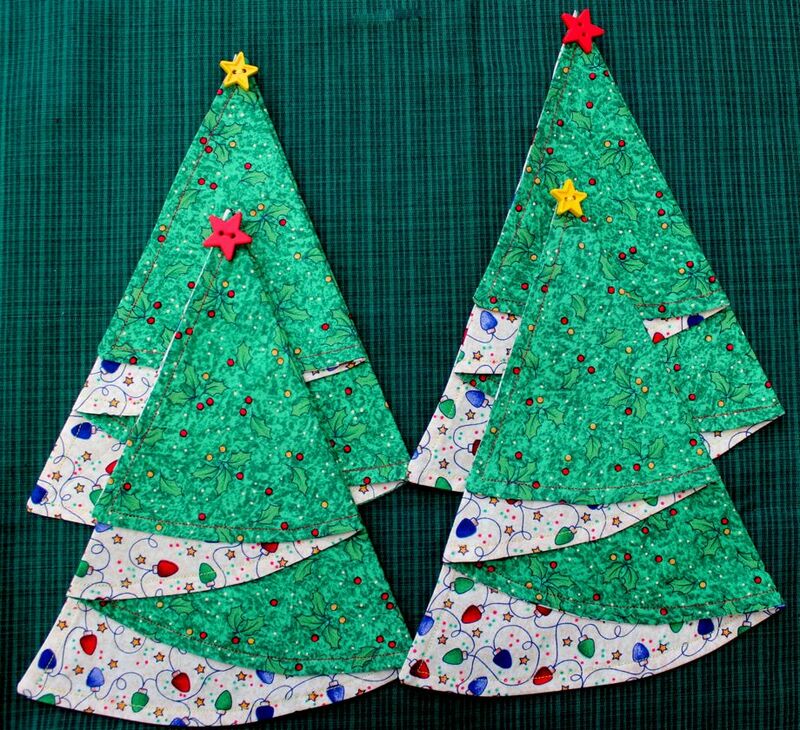 You can adjust the size of the circle you cut and make smaller cocktail napkins, or, as Teresa suggested, even smaller circles will make adorable tree ornaments! Thank you, Trese, for sharing the idea for this festive holiday project! What’s next??? LOVE!!! May I try your idea? PERFECT fabric (this is exactly what is was saved for) and I love the star button on the top! Thanks, Izabel. They’re pretty easy to make, too! You CAN handle this…break out the machine and let’s make it a date!